October, 2015 | DAL Builders Inc.
A new deck on your Chicago home can provide a solid return on investment. Such an add-on not only gives you extra space to relax and entertain but also has the potential to net you a higher asking price for your home should you decide to sell in the future. Keep in mind that since a deck is a load-bearing structure, this job is best left to experts. Professional deck builders, such as DAL Builders Inc. of Chicago, also know how to build the deck in accordance with local building codes. Here are a few pointers on deck construction that should help you hire the right contractor and understand the intricacies of the project. This entry was posted in Business and tagged builders, construct, deck, dreams, step on October 30, 2015 by 19827958. If you are in need of extra income, it may be a good idea to turn your basement into a rental unit. Doing so can help you make a residual income each month for as long as you own the home. A rental income can help you pay down your mortgage faster, which will build equity in the property and allow you to save for retirement or other financial goals. 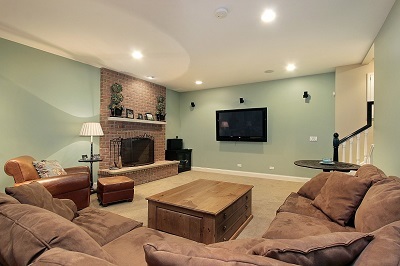 So what should you consider before deciding to invest in a basement remodeling project in Chicago? Read on to find out. This entry was posted in Business and tagged Basement, construction, Remodeling, rental, unit on October 30, 2015 by 19827958.